Organizational effectiveness is the key to successfully putting your strategy into action, and your IT infrastructure plays a major role in this process. Even the best companies struggle when they don’t have the tools and support they need to properly execute. With managed IT services from Advanced Networks, you have someone who knows your business and your goals, understands how you work, and is regularly working to find new ways to help you succeed. 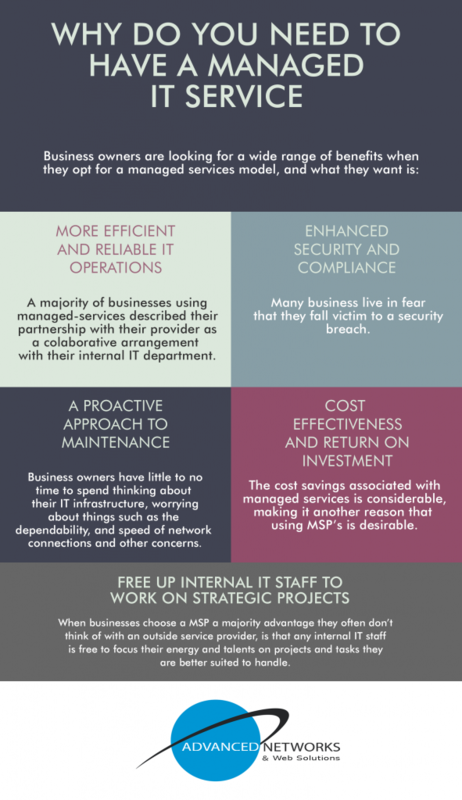 You have peace of mind that this critical business responsibility is taken care of, so that you can focus on what’s most important to you: running your business.